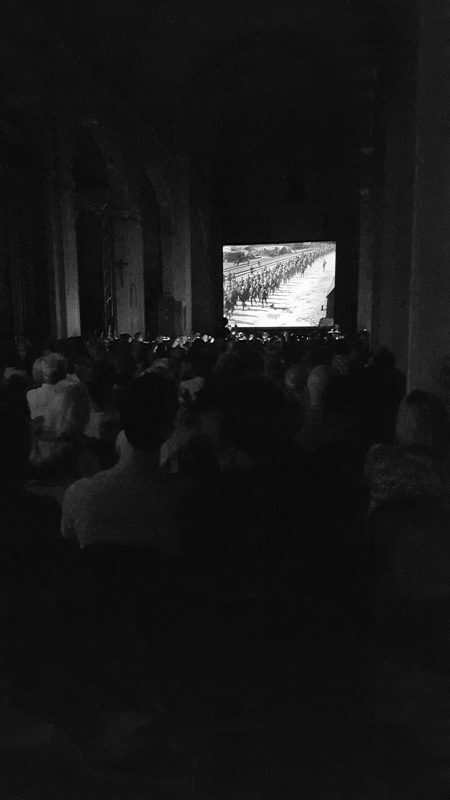 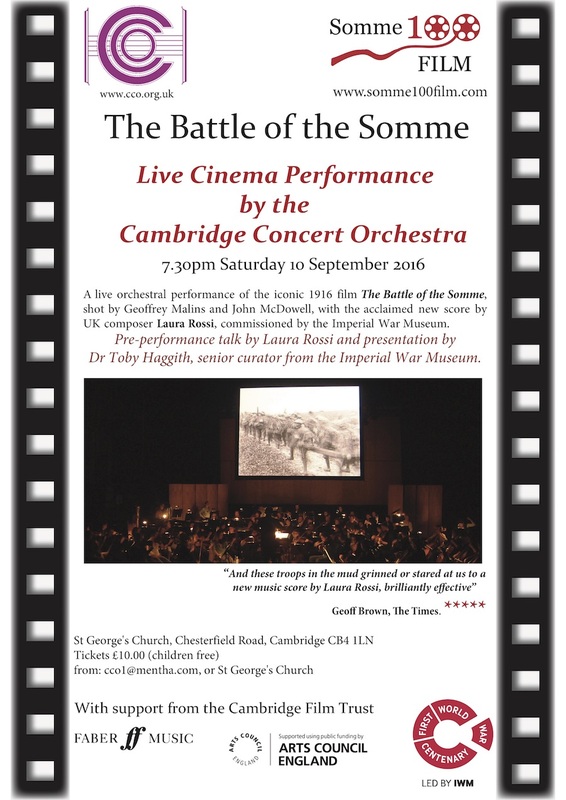 Cambridge Concert Orchestra put on a sold out screening at St George’s Church, Cambridge. This was part of the 2016 Cambridge Film Festival who provided the screen and projection. 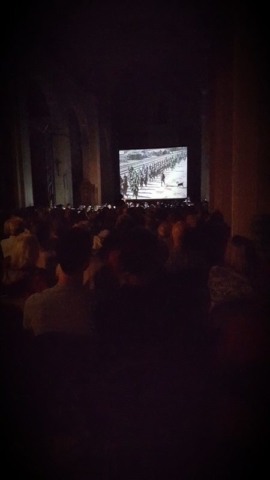 It was programmed by festival director Tony Jones who is brilliant at making things like this happen. 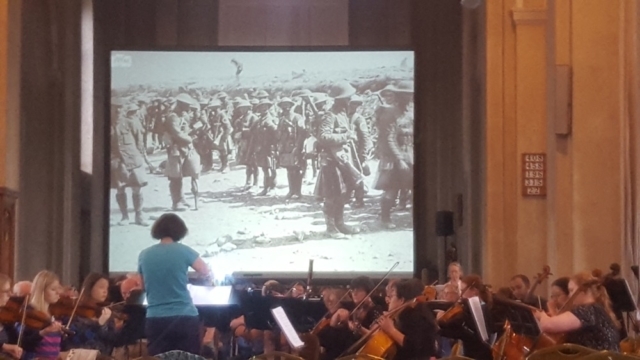 The orchestra, conducted by Suzanne Dexter-Mills worked really hard to put this on with many extra rehearsals – the hard work really paid off as it was a fantastic concert! 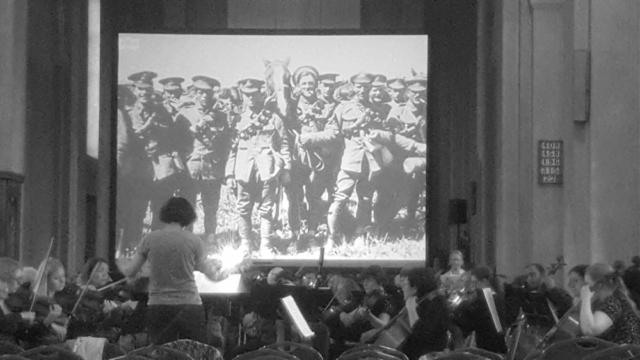 There was Pre-concert talk and Q&A with Dr Toby Haggith (IWM senior curator) and composer Laura Rossi. 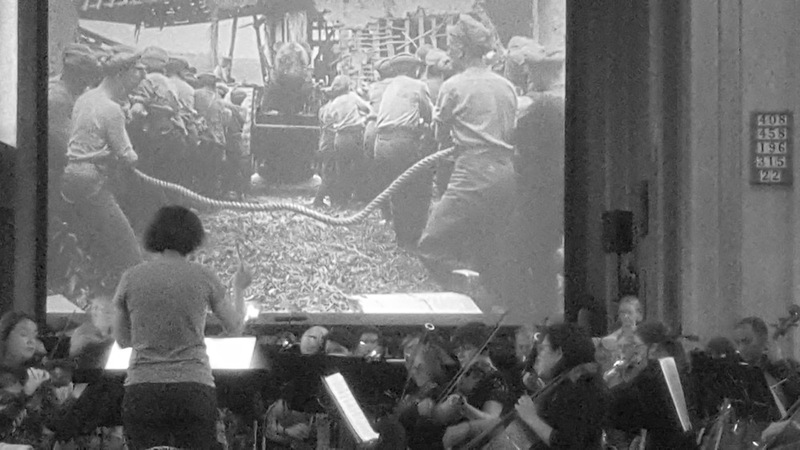 The orchestra told me that this was the longest piece they have ever played but they worked really hard and ended up producing one of the most moving performances. 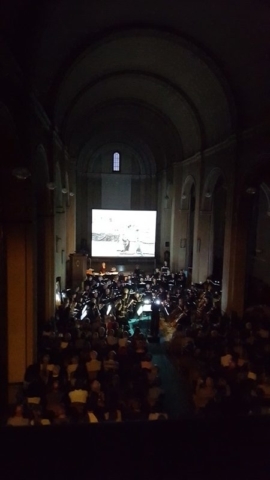 I think was partly because they had all watched the film (the orchestra had their own cinema screening of the film with recorded soundtrack) and both the conductor and the orchestra really seemed to connect with it, and this came through in their performance. 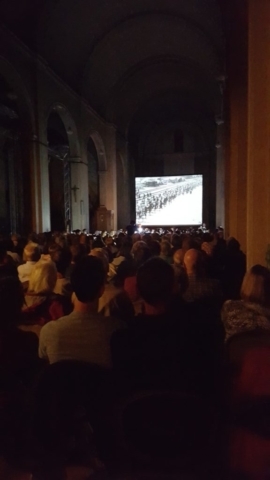 It was a brilliant community event with the performance put on by Tony Jones and the brilliant Cambridge Film Festival (who provided the screen and projectionist for the event). The church was also brilliant with a very forward thinking vicar who likes to use the church as a multi-purpose space (it is shared with a circus group so has circus equipment hung everywhere!). The orchestra are also a forward thinking orchestra and at their last performance did a joint event with the circus group! Their performance was sold out and extra chairs had to be put out to squeeze extra people turning up on the night. 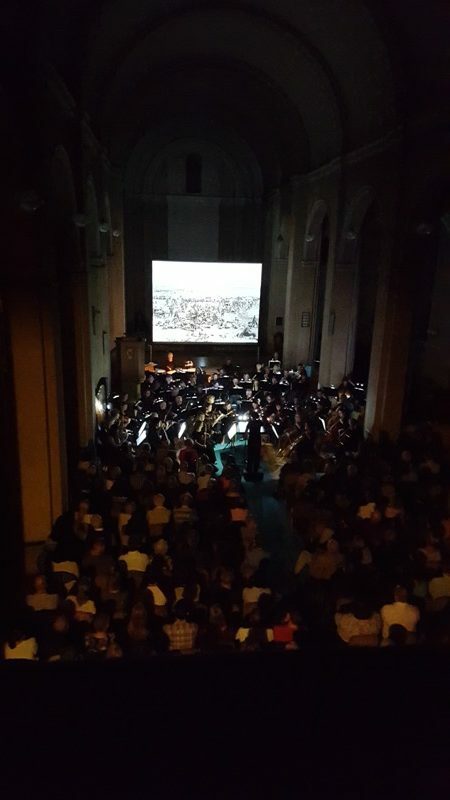 The orchestra were such a friendly group and also put on a lovely drinks event in the church hall after.